Here at Objective IT we like a challenge, we like people and we like technology. Being a small, flexible software development and data analytics company with cross-industry expertise we can help you apply wide knowledge that may not be apparent in vertical markets. The team bring together a unique and powerful combination of high-level customer service and accredited software development and analytics expertise to deliver tailored solutions, which help clients achieve their business goals. You Talk – We Listen… our friendly, approachable team of technical project managers and consultants listen to your requirements and take stock of your business challenges, your budget and deadlines. You Decide – We Innovate… with in depth industry experience and knowledge of the latest technologies we suggest innovations to enhance your imagination. You Approve – We Deliver… with references from many satisfied clients and a proven track record of delivering user friendly systems; we take pride in creating business value and return on investment. Founded in 1987, Objective IT is delighted to achieve 30 years in business, and is still going strong. 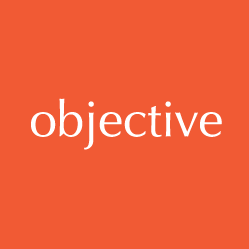 Objective IT recognises its obligations to act responsibly, ethically and with integrity in its relations with staff, clients, the community and the environment as a whole. Staff are our greatest asset. As a Microsoft Partner we are committed to invest in staff training and personal development. Most members of our team have been with us for over 5 years (some much longer!). Our developers are continually working towards new Microsoft Certifications and our marketing team are qualified through the Chartered Institute of Marketing. Clients are treated fairly and with respect. Transparent reporting on time and materials used is communicated throughout your project. In 2016, Objective IT set up a Fund with the Essex Community Foundation to allow Objective IT and its staff to raise money for the local community in perpetuity. The Honalee Fund aims to improve the lives of those living in the Essex community, particularly people affected by dyslexia or lung cancer. Every year, the directors and staff support local and country-wide charity events. In the past few years we have submitted a team of runners in the Race4Business, a 5km run though Chelmsford town. Additionally, we host Coffee Mornings in aid of Macmillan Cancer Support, and have held ‘wear it pink’ and ‘wear a hat’ days to raise funds for other cancer charities. Objective IT promotes environmental sustainability, and energy efficiency in our own operations, wherever possible we go paperless. Our carbon footprint is reducing. Staff are actively encouraged to walk or cycle to work, with a third of our current workforce either walking or cycling to work often. To find out more about our terms and conditions please visit our Legal Policies page.